I've read this book by Charles Spurgeon before, although I can't recall if I've read the entire book. My Kindle highlights show that I've read portions of the book as far back as 6 years ago too. But I'm reading the book now, as part of my teaching series at church concerning the grace of God found in Scripture. A few months ago, I had taught a series of expositions concerning the Ten Commandments and then, I began a new series on the grace of God without realizing the great balance this teaching would bring to our congregation and anyone who would listen to our podcast in the future. Here is a recent short list of studies thus far that you may find on the church's website to listen online, or add to your iTunes podcast. When this study began several weeks ago, I stated to our congregation that this study on the grace of God is indeed inexhaustible, meaning that it is so extensive in the character of God that each new discovery of it from the bible should leave us in awe. The study of God's grace is also immutable, meaning that it and He never changes. God's grace will never change regardless of the gravity of your sin, or the amount of praise you give to Him, on a daily and weekly basis. It's amazing to realize that we as human beings have a tendency to choose how much we are willing to be gracious to someone else, either being a little gracious towards someone, or generously gracious. But God is unlike us where He is constantly gracious. Think about that for a minute. Then, there was the last point to make regarding the introduction of this study in that God's grace is truly incredible. It's not just something that we say before a meal, but a recognition by those who have been genuinely converted to faith in Jesus Christ have been given something that they truly do not even deserve. In Michael Horton's book, The Christian Faith: A Systematic Theology for Pilgrims on the Way, he said, "In grace, God gives nothing less than Himself. Grace, then, is not a third thing or substance mediating between God and sinners, but is Jesus Christ in redeeming action." 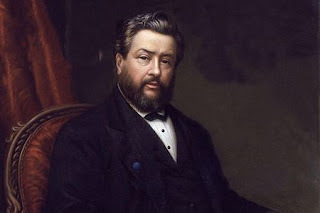 And so, with that, I wanted to share a few quotes from Charles Spurgeon's book All of Grace, An Earnest Word with Those Who Are Seeking Salvation by the Lord Jesus Christ that I've been reading, as a supplement to my study for this weekly series and the quotes below are from what I read today.